Hello and welcome to Home Sweet Home! This week I shared, Goodbye Sun. My reflection on the coming of fall. 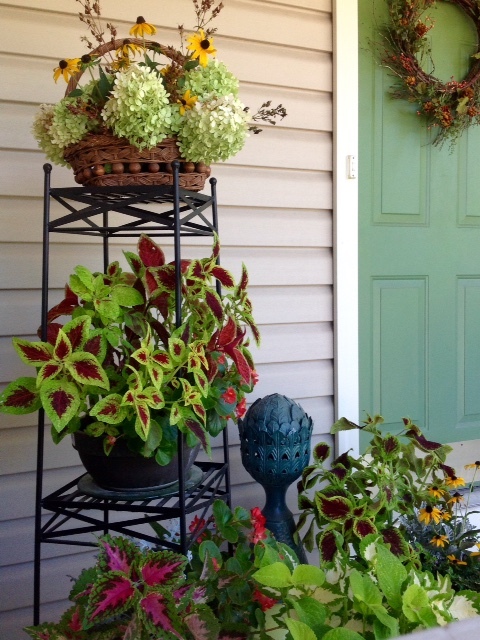 Julie, at Renaissance Mermiad shared, Late Summer on the Front Porch. Pam, at Everday Living shared a roundup of pumpkin recipes in Perfectly Pumpkin. 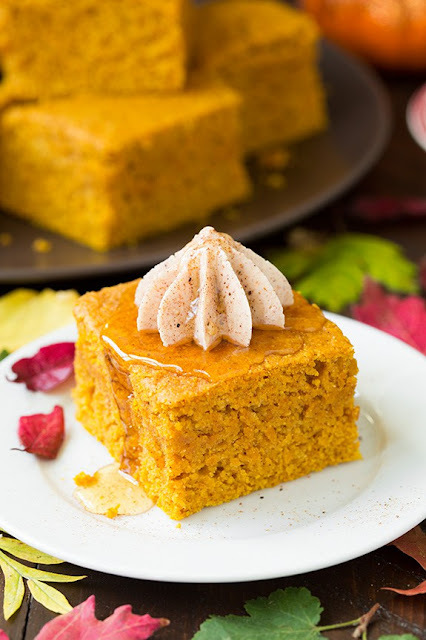 This was pumpkin cornbread with cinnamon honey butter by Cooking Classy. Jody, at Southern Seazons shared past fall decor in It's All About Fall. Christina, at Organic Garden Dreams shared Enjoying an English Afternoon Tea at Home. It's really starting to look like Fall in blogland :) Thanks so much for the feature this week, Sherry! Have a good weekend! Dear Sherry, I feel very honored that you are featuring my "Enjoying an English Afternoon Tea at Home" post from last weeks Home Sweet Home blog party. Thank you so much! Unfortunately I haven't be able to write a new blog post since then, but hopefully I am able to participate next week, again. I love your new fall header, perfect timing! Sorry to have been missing for the party but we've been in remodel he.l.. Wishing you a great labor day weekend and thanks for the party! Thank you for the party, Sherry! I hope you have a great weekend. We might actually dive in to the upper 60's this weekend, that's unbelievable for us! Lots of wonderful features! Hope you are having a lovely week Sherry! Thanks for hosting! Thank you so much for featuring my Fall decor. Thanks for the party every week. Thank you for hosting and enjoy your holiday weekend, Sherry. Lovely vignette and features. Thank you for hosting. Have a wonderful weekend. I'm so excited that Fall is coming... maybe it will cool down before Halloween! Ha! Thanks for hosting! Thank you Sherry for Home Sweet Home 287, appreciated. Each time I view your post, The Charm of Home reminds me to relax, unwind and enjoy my life! Thank you for such gentle reminders, dear friend, to enjoy our homes charm! Um pumpkin cornbread? Game changer! Thanks so much for hosting a great party. Have a rocking weekend. These are all great features, Sherry! Thanks so much for hosting each week. Enjoy your weekend! Thanks most sincerely for this fabulous link-up party, dearest Sherry, and for hosting me today too ! Thanks Sherry for hosting! Have a great holiday weekend. Sherry, thank you for hosting and for featuring my pumpkin round-up! Wishing you a wonderful Labor Day Weekend!